Citibank Korea Inc. said Tuesday its net profit for the first quarter of this year rose 6.7 percent on-year, helped by stringent cost-cutting efforts. 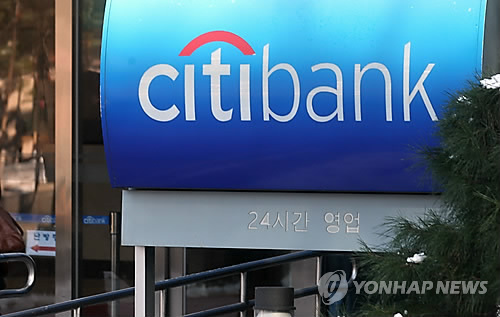 Citibank Korea, the South Korean unit of Citigroup Inc., posted a net profit of 73 billion won (US$6.8 million) for the January-March quarter. Its net interest margin (NIM), a measurement of profitability, climbed 0.08 percentage point on-quarter to 2.78 percent last quarter, the bank said. Citibank Korea has closed 90 of its 126 retail-banking branches as part of its cost-cutting efforts. The bank‘s capital adequacy ratio also rose 0.01 percentage point on-quarter to 18.94 percent at the end of March. Citibank Korea’s non-performing loan ratio stood at 0.55 percent at the end of March.